Tata DOCOMO, the unified telecom brand of Tata Teleservices and AIRCEL the fifth largest mobile service provider today called off their mutual agreement for Intra circle 3G Roaming services. According to our sources, both operator ended the deal soon after the Government/Department of Telecom said that such 3G ICRA or arrangements were illegal. 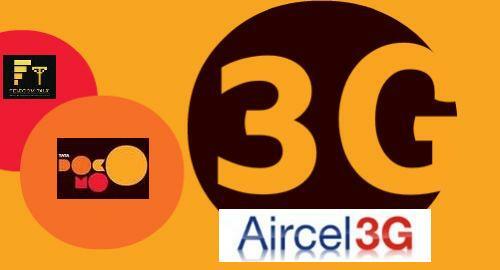 3G Roaming arrangement between Tata Docomo and Aircel was operational since July 19th, 2011 as we reported earlier. Few days back the Telecom Ministry also said it will soon take action against service providers that have entered into roaming agreements for 3G services, as the pacts violate licence terms and conditions. Apart from the Tata Docomo and Aircel, leading private telecom operators Bharti Airtel, Vodafone Essar and IDEA Cellular had also entered into ICRA for providing a 3G roaming service on a pan-India basis but have not pulled back the 3G service so far till the time. The current 3G / UAS /CMTS licence terms and conditions allow operators to go in for Roaming agreements to enable their subscribers to get seamless mobile network coverage as they move from one circle to other circle in India wherein they doesn’t have any network/spectrum or services. But in 3G services, all private operators are selling their 3G products and new connections even in circles where they do not have 3G spectrum/licence. Operators having 3G spectrum pay higher revenue share in the form of ‘ 3G spectrum usage fee’, and the DoT is concerned about allegations of alleged revenue losses to the exchequer because of these pacts. Presently on state run telecom operators BSNL and MTNL providing pan India 3G services with all legal terms and conditions of 3G licence. I’m still able to access Aircel 3G network in TATA DOCOMO.